This set-up will appeal to biotope creators and those who want freshwater tanks with a more natural feel. 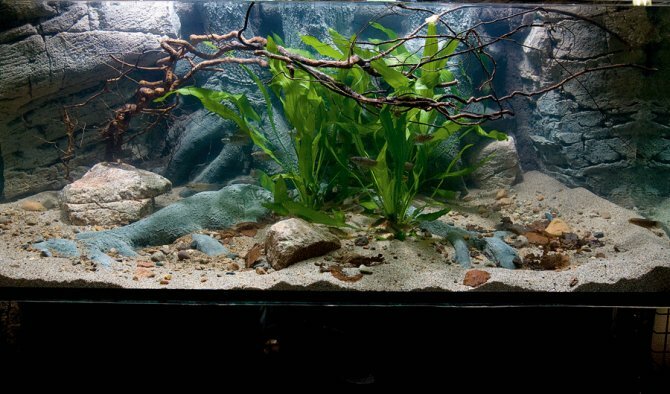 In this aquarium the Woodrock background conceals the heater and filtration and, with a few plants, twigs and natural gravel, it’s a layout many freshwater fish will love. This item was first published in the April 2010 issue of Practical Fishkeeping magazine. It may not be reproduced without written permission.